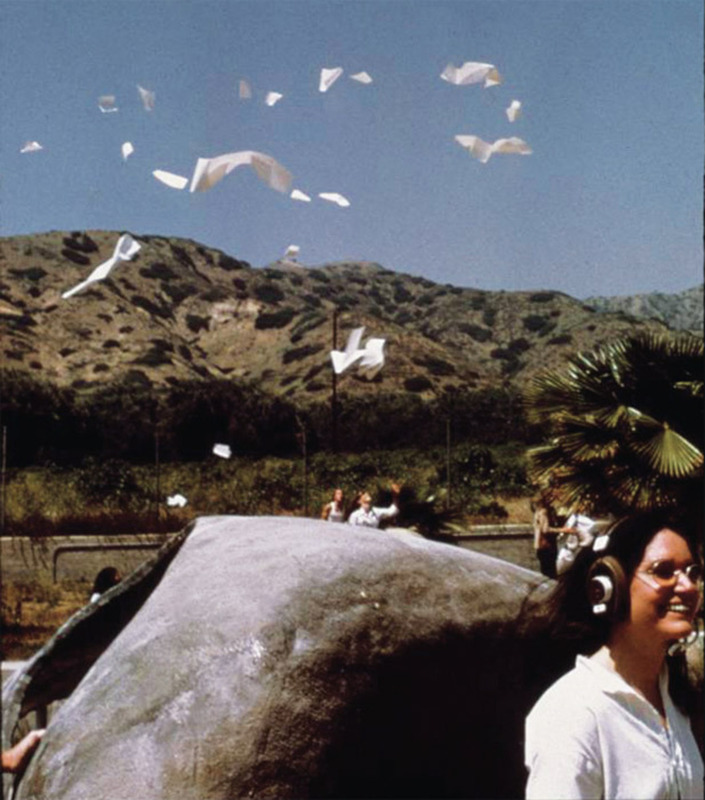 Alison Knowles (in collaboration with CalArts students Norman Kaplan and Richard Banks), Poem Drop, 1971. Performance view, CalArts campus, Burbank, CA, 1971. Foreground: Knowles in front of House of Dust, 1968.